Join us for the Chamber's small business event of the year! 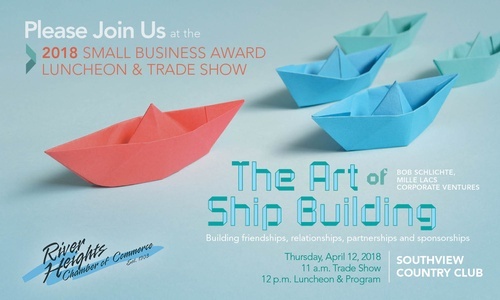 Visit our members in the trade show, network and enjoy a great luncheon where you will hear from our Keynote Speaker, Bob Schlichte, from Mille Lacs Corporate Venture on The Art of Ship Building - the building of friendships, relationships, partnerships and sponsorships; and see who will be honored with the 2018 Small Business of the Year Award! This year, we're changing it up! 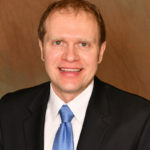 The 2018 Small Business of the Year Award recipient will be announced at the luncheon - don't miss it! With all the outstanding businesses in the community, the Chamber wanted to showcase more than one business at the luncheon. 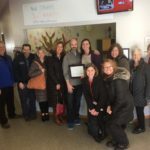 All of our finalists are deserving recipients and we can't wait to highlight their business's dedication and community involvement to the membership! 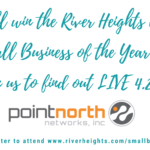 We are proud to announce the River Heights Chamber 2018 Small Business Award finalists as The Coop, Edward Jones - Steve Doody, Mississippi Pub and Roadware Incorporated. Check out new sponsorship benefits here! Click here to reserve your spot in the Trade Show - space is limited, so don't delay! Click here for Trade Show Booth Details & Reserve Your Booth!